Pocket gardens allow you the opportunity to brighten a space with living plants in underutilized spaces. Special unexpected pops of color and texture can soften even the sparest spaces and all you need is a little bit of soil and a niche of space. Pocket garden design is a fun way to get creative with your unique space and enliven previously flat, boring parts of the outdoors. Here's some pocket garden information to get you started on developing your own unique style in the landscape. What Is a Pocket Garden? The pocket garden is a design technique that has been used by gardeners for generations, but it has recently found a chic standing in the landscape world. What is a pocket garden? It can be a combination of scenarios, but the basic point is to add plants in small, unexpected ways to the landscape. 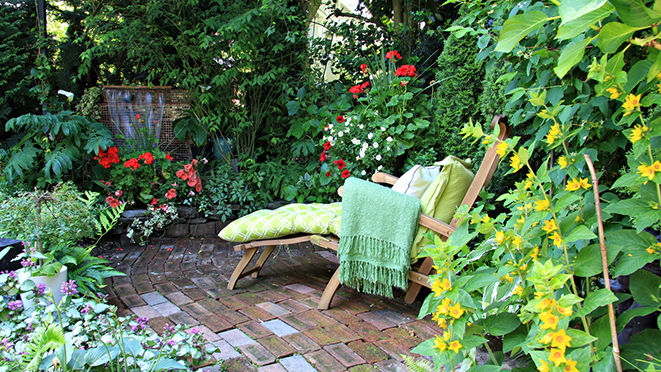 Gardening can be a challenge in small spaces or in areas with little area for a garden plot or bed. This is when it's time to look outside the box and get creative with what you do have. One design strategy is creating pocket gardens. The premise is that you can tuck a plant, or 2 or 3, almost anywhere. Planting some attractive greenery down stone stairs, nestling a few succulents between pavers, or even selecting some complementary flora that can be popped in the edges of a patio, are all examples of pocket gardening. Dish gardens, containers and hanging plants are also part of the pocket plan. Creative accessories and unique containers help make the space special and distinctive to you. The first step to a pocket garden is to look around the space and consider the challenges and assets. Lighting, ability to provide water, theme and many other considerations need to come into play. In most cases, maintenance will be an issue. Choose low maintenance plants that can sustain themselves without much intervention. Succulents, alpine plants, some grasses and spurge are excellent choices. The feel that you are trying to achieve is important, but so are plant needs. Use plants that have similar requirements in the small space for best results. An example might be a niche planting of clumping bamboo with containers of succulents as accents in a patio setting. The choices are endless, but the best pocket garden will have complementary textures and plant needs. Pocket gardens can be as simple as several matching planters of ornamental grasses along the driveway to succulents tucked into the rock wall that abuts a path. It's all about creating interest where there was just manmade space. More intricate pocket design requires individual small beds among stonework or installed as part of the patio space. This doesn't require a professional unless you are not up to building such accents. You can use containers to the same effect. 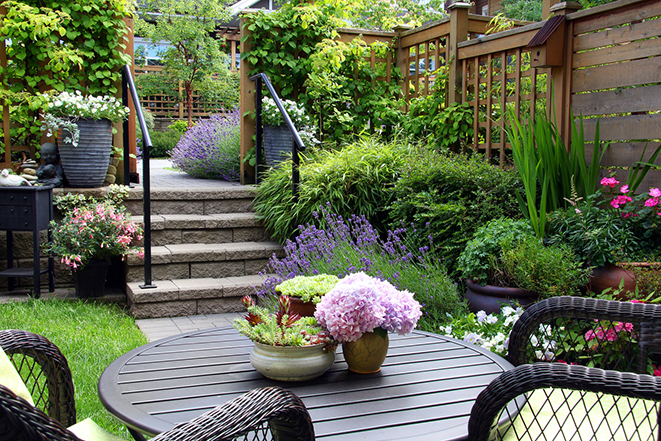 Creating pocket gardens is an opportunity to express your individuality and refresh a space. You can even "pocket garden" a small herb garden outside the kitchen or a bed of colorful varietal lettuces. The mini garden spaces should suit your vision and purpose while providing plants with similar soil and cultivation requirements.